Going camping is a no brainer if you are someone that likes nature and being outdoors. There are many different places that you can camp, like designated campgrounds, national parks, and more. However, some of these places are not easy to get to and may require a little effort on your part. This is why you need to be vigilant about the weight of each of your supplies. This means you will need equipment that doesn’t weigh a lot, including a tent. There are many different types of tents that won’t weigh you down, and here are a few in the ultra light category, meaning they weigh just a few pounds. They each offer up a number of different features and can be stored rather easily. The Eureka! Solitaire tent is a festive looking tent that is designed to be used by one person. 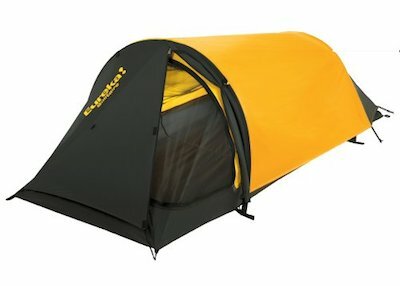 The tent weighs in at less than 3 pounds and is black and yellow in color. It is tunnel shaped and designed to be safe from casual rainfall. This product is only 38 inches high in the center, so while you won’t be able to sit up in it, you will be protected from the rain. It is not advisable to use it in a storm, but it does have some versatility due to its small size and low weight. It is not a freestanding tent, but putting the stakes down makes it that much more secure. The Kelty Salida 2 is a three-season tent that has over 30 square feet of floor space inside. It is easy to set up, is designed for two people to use comfortably, and there is additional space in the form of a vestibule, which provides extra storage. It also comes with a rain fly that protects it from rain as well as wind gusts. This item is a good value for what it offers. Since the layout is freestanding, there is plenty of room for two people to be comfortable. It is also waterproof and can sustain light snowfall and gusts, so it doesn’t have to be perfect weather in order for you to use it. Additionally, it is constructed of high quality materials, which may last a long time. This is a great inexpensive solution for two people. 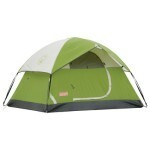 The tent has two vestibule areas for storage purposes and has an open design, which allows air to pass through freely. It also offers reliable protection from the rain and can be utilized in mild winters. 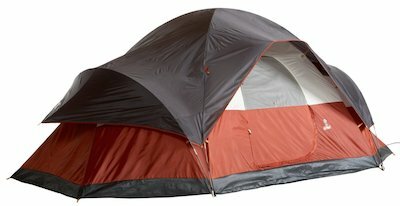 This is a great solution for a two-person tent if you have never purchased a tent before. 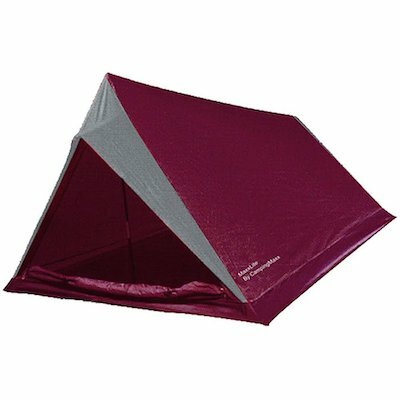 It is described as a 3.5 season tent, meaning although it can handle snow, it would not be good for very cold temperatures. It also has a simple design and is easy to use and care for. Each of these tents weighs around 6 pounds or less in order for them to be lightweight enough for you to take wherever you need to go. They also are not too hard to put up or take down. The three tents discussed in this article are all great ultra light solutions, but offer a variety of redeeming qualities and differ based on how many people are using them. If there are two people in your party, or you need extra room for one, the High Peak Outdoors Maxxlite Tent is a great value for the money. It not only protects you from wind and rain, it also has plenty of room to store bags and other items in the front and back of the tent. On top of that, the design provides superior air flow, but can still be sealed tight if you need to stay warm. Although it might not be ideal if you are a taller person, the other benefits outweigh this fact. This is also the best solution if you are new to camping or are looking for your first tent. If you are camping solo, the Eureka! Solitaire is the best bet and is less than 100 bucks. It not only looks really cool, but the bivy shape offers a little bit of cozy no matter where you are. This product also has plenty of storage and even a space to hang a flashlight. Another big plus is that the roof can be mesh on hot nights, or can be covered whenever the nights have a chill and you need less air flow. Furthermore, the design allows for people of many different heights to be able to take advantage of sleeping in this tent comfortably, as it is more tunnel-shaped than domed. 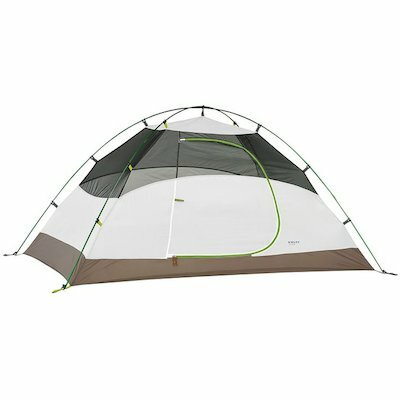 If you have a larger budget or plan on using the same tent for many years, the Kelty Salida 2 is one to keep your eye on. It is easy to squeeze two people into comfortably, or it can be used for one person and a dog or child. This tent has won awards for its design and the fact that it has so many different features. It is also a high quality product that can be used on many different types of terrain. This is also the only one on the list that is proven to be able to sustain any snowfall.